The Bresser Pollux 150/1400 EQ3 is temporarily sold out. For good observations a great luminous efficiency is of crucial importance. This Bresser Pollux telescope is equipped with a 150 mm lens. 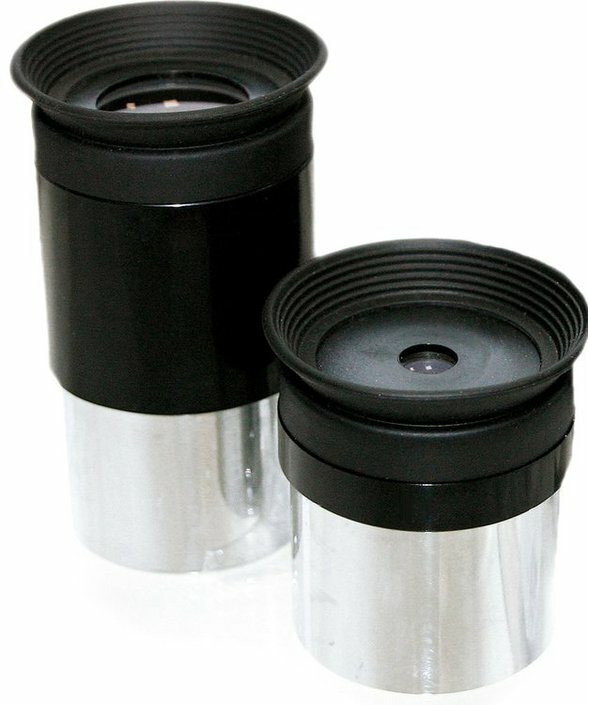 In comparison with other telescopes in this price range, this lens offers a relatively high luminous efficiency. That's why the Pollux is very suitable to observe deep sky objects, such as star clusters, nebulae and galaxies. 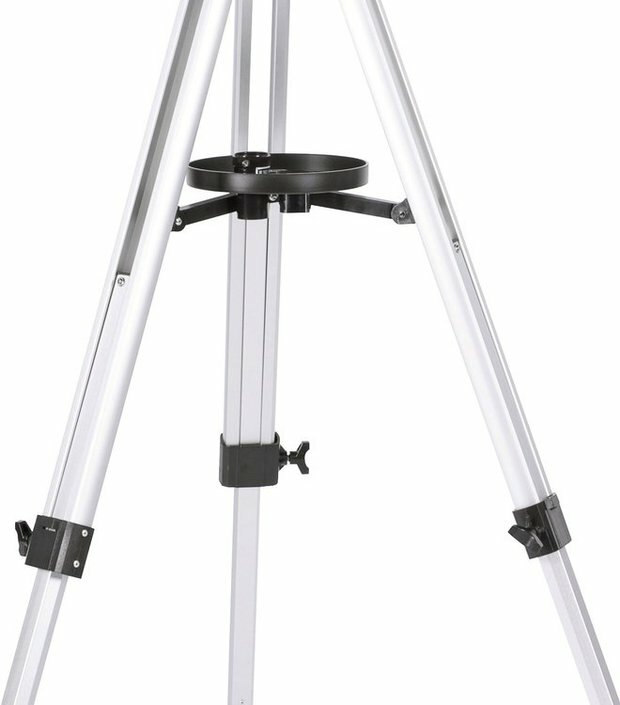 This reflector telescope has a focal length of 1400 mm and is provided with an equatorial mount. 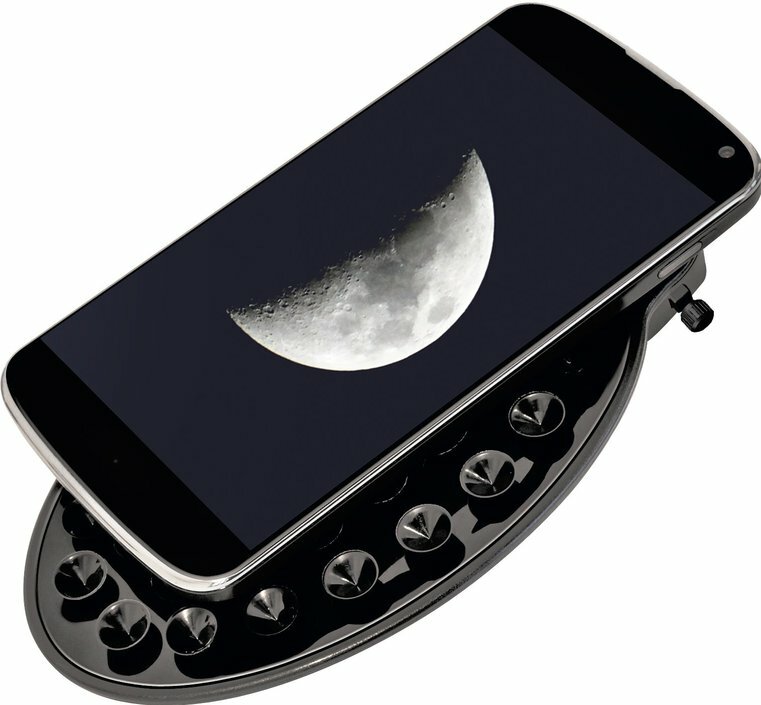 With the included camera-adapter you can connect your telescope to your smartphone and make the most beautiful pictures. I really love my new and I think if anyone is looking for a medium size good quality telescope for reasonable price, this is a very good choice. However I'm not fully satisfied with the high magnification eyepiece as it is a bit blurry overall the scope is great and the eyepieces are something which I can change(e.g. : buy different ones). Overall I recommend this product. Perfectly satisfied with it, the only thing that bothers me is the unstable tripod, other than that it's perfect! Unfortunately, I haven't been able to watch a lot because of bad weather conditions, I'm waiting for some cloudless nights. After a long period of comparisons between various price classes I selected this telescope. Reason: This telescope possesses all the specifications that a beginners' telescope needs to have and even more. From online research and in course books for amateur astronomers one needs to count on an expense of about 500 euros for a telescope of this level. Fine proce/quality ratio therefore. My first observations of the moon could be called truly phenomenal! The software supplied is also extremely useful for planning the observations of planets etc. During the tuning of the finder during the day I was amazed by the fact that I could see the handle of a balcony door of an apartment in a village pretty far from here. 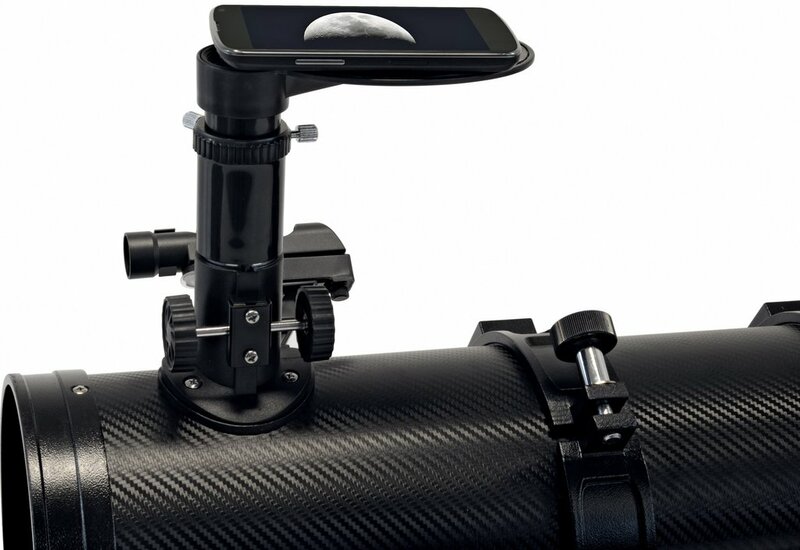 I am in any case deliriously happy, satisfied and impressed by this telescope for this price! 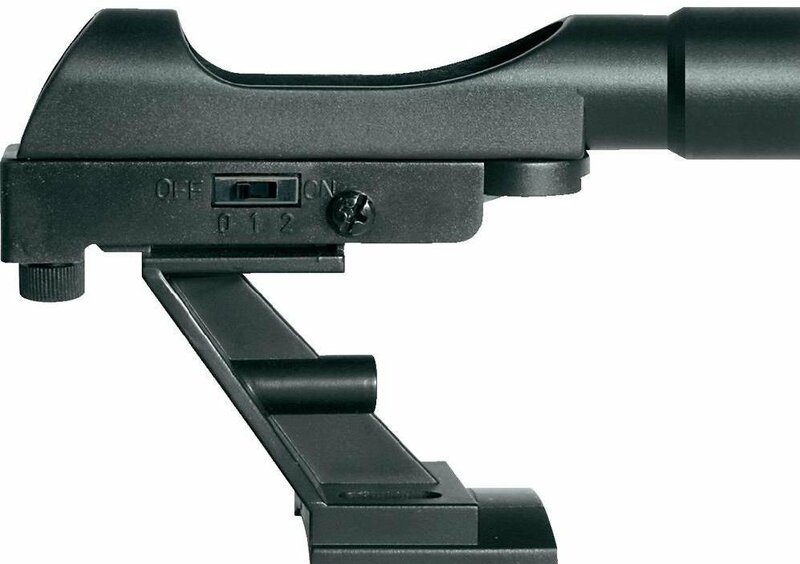 One negative point (negligible): despite the stable tripod the telescope vibrates very strongly during the focusing (but this also appears to be the case with the more expensive versions). And another negative point, but more comical than annoying: the Dutch translation of the user manual. Take plenty of time to understand what exactly was translated and allow yourself to enjoy the mistakes. Mit a bit of Deutsch in the back of your Kopf you will manage to understand die translation. In short: a surprisingly good telescope for amateur astronomers with more than good specifications for a particularly good price. The delivery was also very fast by the way: ordered on December 30th, I had the telescope at home on January 2nd! Amazing sharp image for a huge distance.